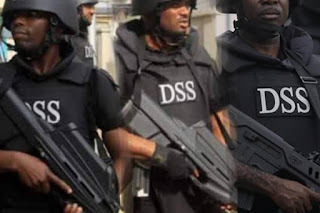 Security operatives said to be men of the Department of State Services have arrested the Peoples Democratic Party campaign spokesman in Kaduna State, Mr. Ben Bako. Though no reason was adduced for his arrest, the Deputy Director of Campaign Council, Danjuma Sarki who confirmed the arrest, called his immediate release. Addressing journalists at the campaign office of the party on Sunday, Sarki said Bako was invited to the office of the DSS, only for him to be whisked away to Abuja later in the day. “He was kept incommunicado for several hours and finally whisked to Abuja in the late hours of last night(Saturday). While calling on local and international observers to take special interest in Kaduna before, during and after the election, Sarki said the PDP was committed to violent-free polls. He added that no amount of intimidation would deter the party from protecting members’ rights to voting in the Saturday poll. He added: “No member or supporter of the PDP must be involved in breaking the law. In the same manner, the PDP is solid serious about ensuring that every vote cast in the state counts.